Weight loss problem is one of the most experienced health complications in today’s world. There are many individuals out there who are overweight but are still yet to find a perfect program that will help them lose weight to achieve a perfect body shape and health. Being overweight is not only embarrassing because of the saggy body, but it is also associated with some health complication which includes respiratory diseases, high blood pressure, high blood sugar as well as high risk of getting a heart disease. However, despite knowing the dangers of being overweight, individual have not found a good program that will allow them to keep fit. Our ever demanding jobs and poor eating habits have also contributed a lot to our weight problem since we do not eat a balanced diet or workout to burn extra calories. In fact, a report published by the Center for Disease Control indicated that 80% of the US citizens do not meet the required muscle strengthening and aerobic activity level. Due to the persistence of weight loss problems individuals are still in the search of ways they can effectively end this nightmare. Initially, people come up with an idea of building physical training complexes, but this did not seem to work due the rising of the number of gyms thus it was viewed as a commercial idea instead of a way of helping the society. However, of Pokémon Go from Nintendo seem to have the right inspiration. Individuals who are new to this game are still wondering whether it is possible to lose weight while playing Pokémon Go. There programs out there that were formatted in such way that would engage people in physical activities while playing a game. Unfortunately, this idea was not successful since one had to play the game at home for you had to be in front of a television a factor that made many people give up. Also, most people also got bored since most games were hard to understand and cope with. Therefore, there was the need for a game that was fun and that did not require you to be in front of a television. The need for a virtual reality game leads to the birth of Pokémon Go. Millions of individuals around the globe have heard about this game, but only a few understand how it helps someone to lose weight. Many players still have the urge of understanding how their activities while playing the game are considered as working out. Starting with how the game runs, the goal of the game is to be ranked as the best player and possess the best Pokémon. The only way to achieve the requirements of the game is to move around looking for the Best Pokémon. This is considered as an exercise since the player has to walk or jog around looking for a Pokémon. The player is also required to walk a significance distance to get a particular Pokémon. All these movements during the game are exercises that help an individual burn extra calories and have fun at the same time. One of the factors that make individuals get bored easily is the time taken to realize results. For normal work out you need to train for a considerable period before results showing up. However, while playing this game, it takes about an hour to catch a Pokémon, thus keeping you motivated since you are getting some results from playing the game. Most individuals are addicted to electronic gadgets such as smartphones and computers. This also applies when playing Pokémon go, since you will have that satisfaction of using an electronic gadget for a long period. Games are also addictive; thus it can be considered as the best way of losing weight since your body will be self-driven to work out more and more. Since the game involves emerging as the best player and getting the best Pokémon, it requires someone to be very aggressive. This involves walking more and faster so as to collect the best Pokémon. The urge to get ranked high transforms to more work out, as a result, you end up burning more calories. 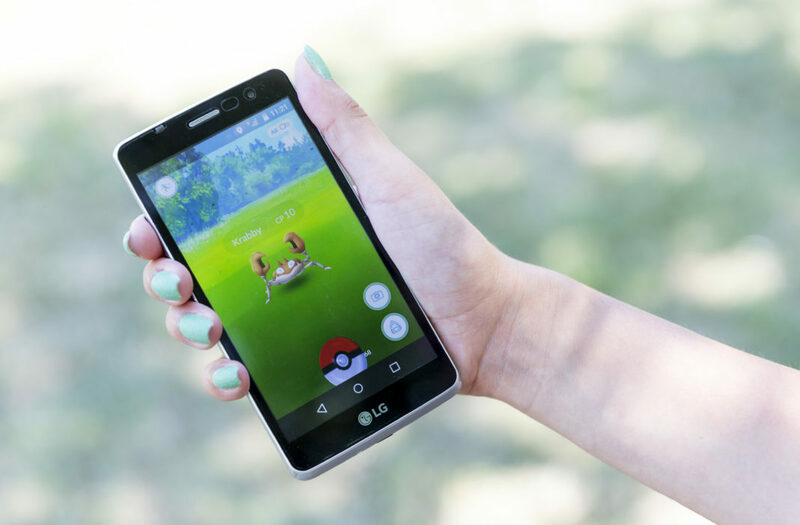 The ideas of virtual reality such as Pokemon go has a lot of benefits since it will help you achieve your weight loss goal as you have fun. If you have tried to lose weight for a long time with no positive results, try playing Pokémon Go, and you will be amazed how easily you can achieve a great body shape doing what you love. P.S: Do always ensure your safety and be aware of your environment around you while playing Pokémon Go.